A ridiculous retirement, Tom Brady's kryptonite and mind-blowing total recall are featured in the NFL Week 2 Recap. WASHINGTON — If you thought the Redskins’ no-show at FedEx Field was the weirdest thing you saw this week … then wait’ll you get a load of what else happened around the NFL in Week 2. 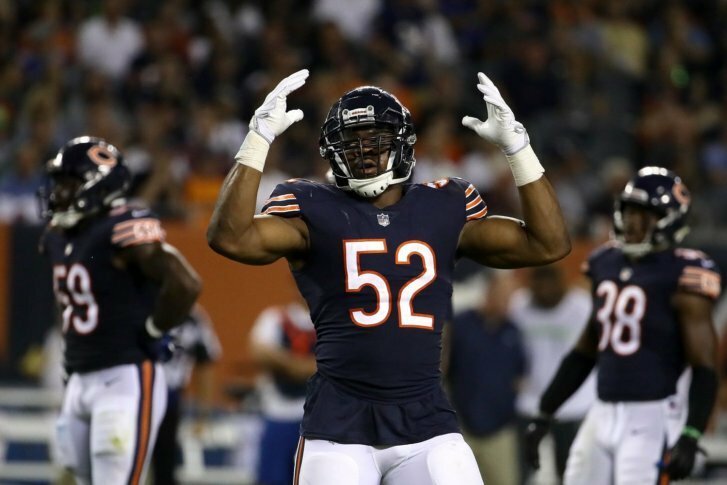 Chicago’s 6-sack, Pick-6 performance made two things clear: Khalil Mack is on a collision course with the Defensive Player of the Year award and Russell Wilson’s offensive line has him on a weekly collision course with the turf.